Conceiving twins, triplets or even quadruplets is a thrilling – if not rare – occurrence. There is undoubtedly a lot of shock uncertainty amid the excitement and joy when a couple finds out they are expecting a multiple birth. But what happens when you find out you’ll soon be welcoming seven babies into the world? It might sound unimaginable, but that’s exactly what young couple Kenny and Bobbi Mccaughey discovered. Although they had only been trying to have one more baby to accompany their first-born daughter, they ended up with the surprise of a lifetime! But just how the McCaughey septuplets survived their precarious first few months of life to make history is truly unforgettable. You won’t want to miss this amazing story of the world’s first surviving septuplets! 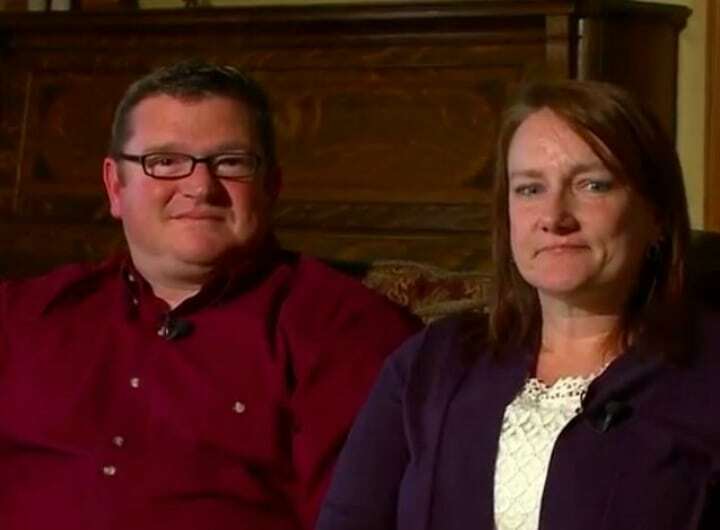 Young Iowa couple Kenny and Bobbi McCaughey were hoping to expand their family when they went to the doctor for a routine checkup on the progress of the fertility treatment they had recently started. But in the middle of the scan, doctors found something extraordinary in Bobbi’s womb. It wasn’t just one embryo that showed up on the ultrasound, but SEVEN! While twins and other forms of multiple births are quite common for those undergoing fertility treatments, septuplets are extremely unusual. Therefore, given the circumstances, the couple was posed with a difficult decision that could spell out life or death for Bobbi and the babies. Initially, the couple admitted that they had experienced “sheer terror” at the prospect of septuplets, however, it didn’t take long for reality to sink in. Still, neither one of them could have expected what pregnancy with seven babies would be like. The couple had already had difficulties conceiving their first daughter, Mikayla, so, therefore, they were understandably more than somewhat concerned the second time around with such an uncommon situation. Bobbi could feel herself growing faster than she had in her previous pregnancy as she anticipated what would come next. Soon, when Bobbi McCaughey was in a sitting position, her pregnant belly nearly touched her knees. “It was scary, you know, watching the stretch marks go ever so higher and wider and just thinking, how much longer can this body keep going?” Still, no one could have guessed just what she’d go through. While carrying one baby causes a significant amount of changes and aches for an expecting mother, the usually petite Bobbi McCaughey was carrying seven! Amid the joy that they would soon become the parents of a very large family, came the physical challenge of the pregnancy. As the strain and soreness grew, concerns about the financial toll such a large family would take also increased. Unsure of what the future would hold, the McCaugheys took to prayer to guide them through their rare situation. However, doctors would soon pose them with a difficult decision. At this point, the couple had already gained media attention for the rare pregnancy and it seemed that everyone had an opinion on how they should approach the procedure that protects only the embryos that are most likely to survive. However, they would surprise the world when they decided their course of action. Although Kenny and Bobbi McCaughey were bombarded with a range of opinions about their future family, the expectant parents privately discussed the matter and took into mind all the potential risks when they came to their decision about selective reduction. Due to their decision to go forward with the full pregnancy, the couple was further thrust into the limelight. Although they were confident in their decision, they weren’t met with support across the board on their refusal to surgically elect to give fewer embryos a better chance. “In the beginning, for every ten letters we would get that were happy for us, we’d get one letter accusing us of exploiting the kids and being selfish to waste the world’s resources on a family this big,” Bobbi explained. Apart from the occasional critic, however, they soon started experiencing something that brought tears to their eyes in another way. 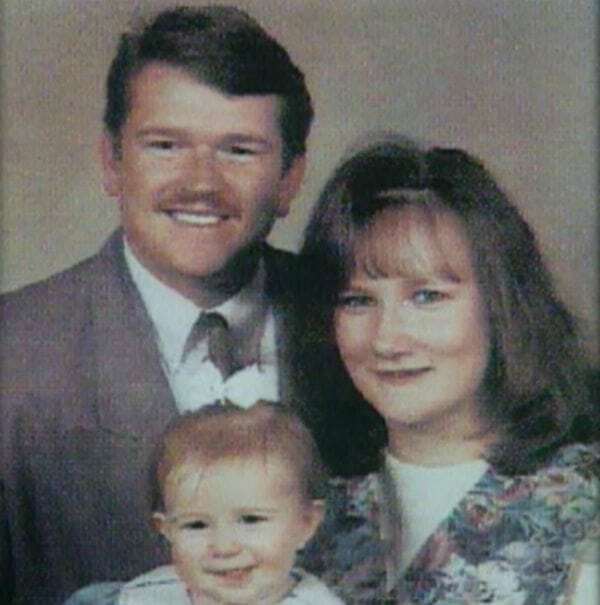 After overcoming their initial shock, the McCaugheys were overjoyed by the pregnancy. Still, they were also concerned about the logistics of actually caring for so many little ones. As news of the septuplets spread, the family became a national sensation and they were stunned when they started receiving an incredible outpouring of donations. Well-wishers they’d never met provided them thoughtful contributions, including diapers and a year’s worth of free macaroni and cheese from Kraft. Others offered their nannying service and some very generous donors contributed a large van and even a 5,000-square foot house! The couple was overwhelmed by the kind gestures, but as much as they tried to prepare, there were still some surprises in store. As the septuplets’ due date approached, Kenny and Bobbi McCaughey spoke with doctors about the best way to move forward and what they should expect during birth. Apprehension mounted as the weeks passed. Bobbi felt relatively fine up until week 28, but soon she felt something change. 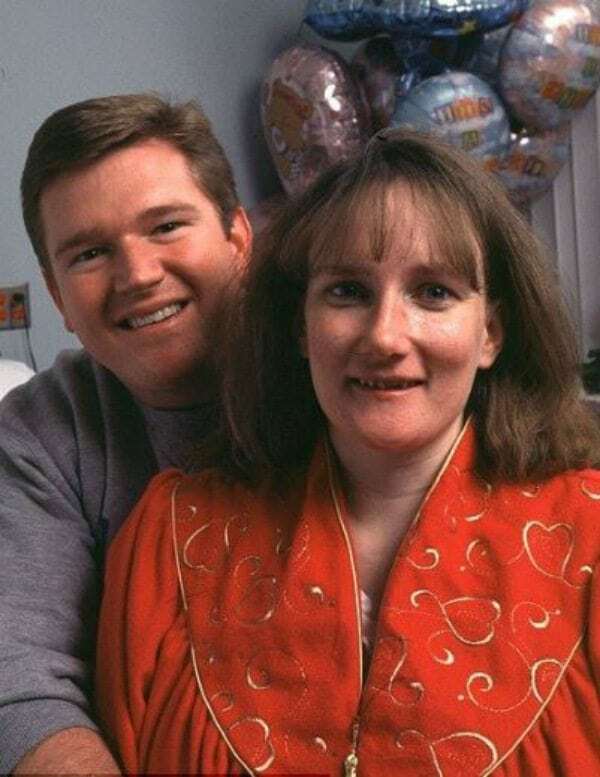 On November 19, 1997, Bobbi was already 30 weeks into her extraordinary pregnancy with septuplets. She was 55 inches around the waist (about twice the average size for a full 40-week term) when she was suddenly rushed to the hospital. Nine weeks before Bobbi McCaughey’s due date, she was rushed to the hospital anticipating her labor. A 40-member team of medical specialists was in the delivery room to assist in the meticulously planned birth. But no one expected just how the process could unfold. Much to everyone’s surprise, the delivery “was not chaotic” and all seven of the babies were born within a mere six minutes of each other. The seven newborns were delicately delivered via C-section and there wasn’t a dry eye in the room. While the childbirth had been quite smooth, those next few hours and days would be crucial for the survival of the newborn septuplets. Miraculously all seven babies had successfully made it through childbirth. Of the seven newborns, four were boys and three were girls. Luckily, the couple already had already picked a list of names, In order of birth, they were: Kenny Jr., Alexis, Natalie, Kelsey, Nathan, Brandon and Joel. As is common in pregnancies with more than one baby, the tiny newborns were premature and ranged in weight from 3 lbs 4 oz to 2 lbs 5 oz. Needing special medical attention, they were placed in the neonatal intensive care unit and it would be months before they could all go home. A long three months and 10 days after their birth, the McCaughey septuplets could finally head home. The seven babies had made it through their first critical months and the McCaughey were ecstatic when they could finally pack all seven babies into the family van and start their life together. Although the babies had surprised everyone and survived the risky birth, both Alexis and Nathan were born with cerebral palsy. The two faced muscular disorders, which would later make it hard to walk unaided but incredibly, all seven babies were otherwise healthy in every other way. As the family of 10 settled into their new home life, they had no idea just who would notice their story. 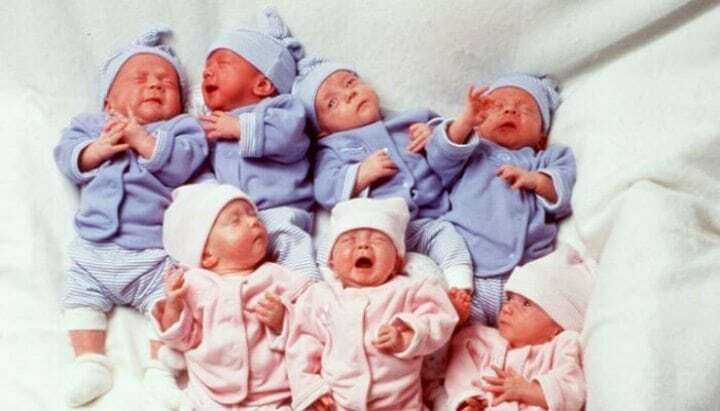 Doctors had warned that there was a chance not all the McCaughey babies would survive, but to the world’s astonishment, they made history as the first set of septuplets to survive infancy. With this in mind, they gained even more media attention and met some very high-profile figures. As the nation marveled over the septuplets, they were featured on prominent magazine covers including Time and Newsweek. 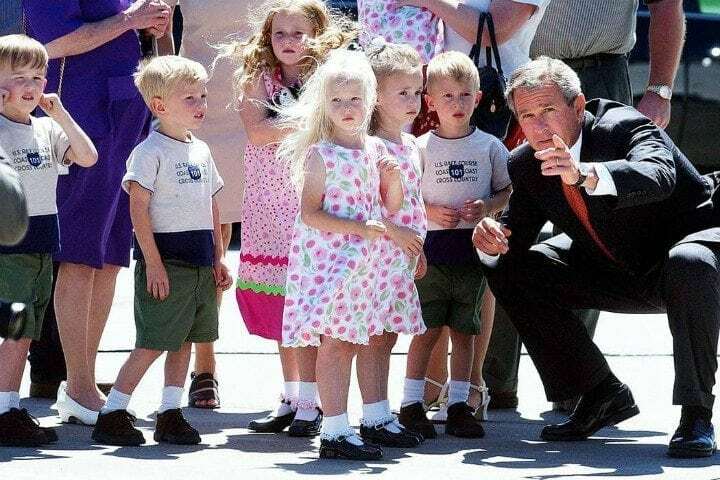 Then-President Bill Clinton personally called to congratulate the family, and they later met George W. Bush. 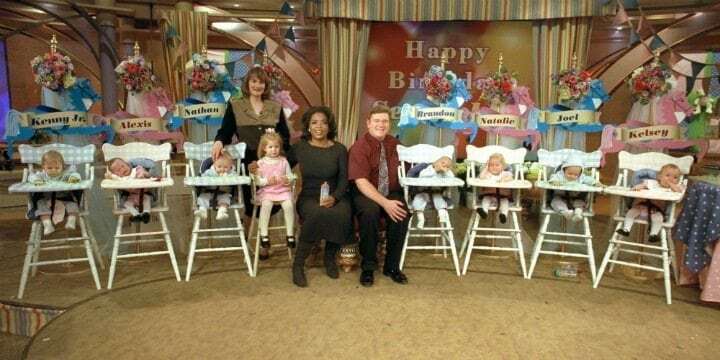 To mark their first birthday, the septuplets appeared on The Oprah Winfrey Show. But behind the scenes, raising seven babies was quite an ordeal. Needing to tend to some many babies at once in those early months was quite a challenge for the McCaughey household. Although Bobbi and Kenny were in seventh heaven with the full house they’d always dreamed up, they were going through an exorbitant 52 diapers a day. Not only that, but the growing babies would chug through an astronomical 42 bottles a day. With around the clock feedings, diaper changings and crying, caring for the septuplets was not only time consuming but expensive. Luckily, the McCaugheys had an ingenious plan for the future. With a family of 10, the McCaugheys figured they’d need to be smart about finances once the initial donations started running thin. With eight growing kids, they would burn through massive amounts of food. Therefore, they began buying in bulk to be more budget-savvy. Incredibly, with their careful money management, the family was able to spend only about $300 on groceries each month. Amazingly, that sum was about the monthly average for an American family of four at the time. As the years went on, they’d devise other ways to care and provide for the family. 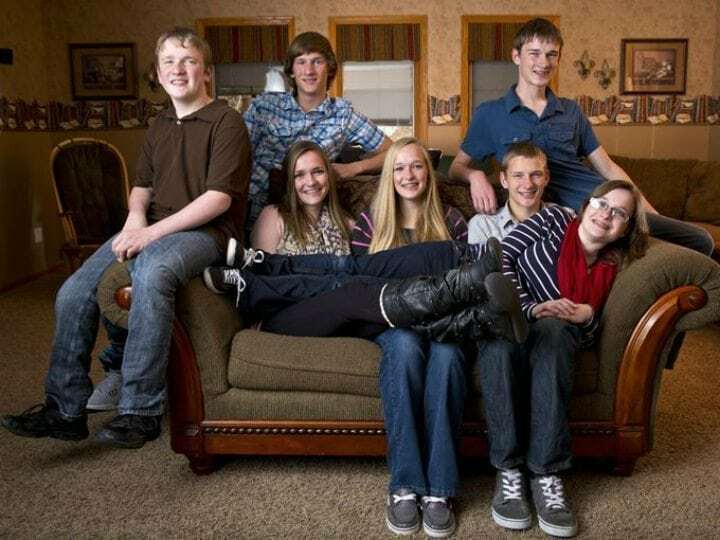 Raising the McCaughey septuplets along with their older sister, Mikayla, proved to be a full-time job. Understandably, Kenny and Bobbi needed a little extra help for the task and over the course of the septuplets’ infancy welcomed a total 35 volunteer helpers. Errands, cleaning and sleeping all had to be fit in among other hectic activities. The family found that along with eating buffet style, gardening as much as possible helped keep their grocery bills down and stomachs full. 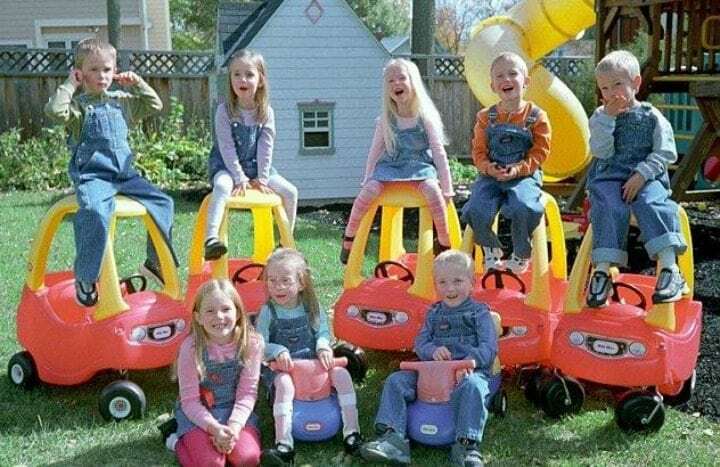 As the years passed, the world’s interested in the first surviving set of septuplets didn’t wane so the family had to face another diffucult decision. By the time the septuplets had reached the age of 10, the family made the decision to turn down most of the media’s interview requests. 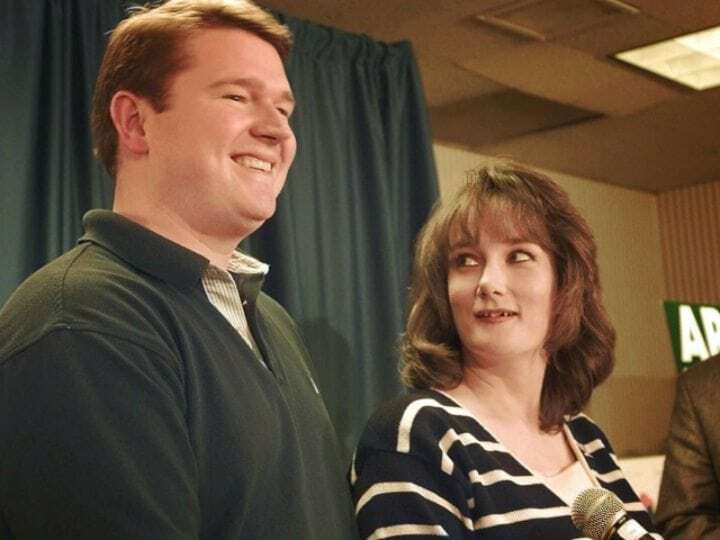 And while other big families had elected to open their homes to the reality TV route like Jon and Kate Gosselin, the McCaugheys didn’t want to share their lives with strangers. As the initial media frenzy with the septuplets ensued, the McCaugheys had received a letter from the famous Dionne quintuplets, who urged the parents to avoid the pitfalls of fame that they had experienced in the public eye. Whether or not that was a factor, the McCaugheys opted to raise their kids as privately as possible. However, they did make a few exceptions. 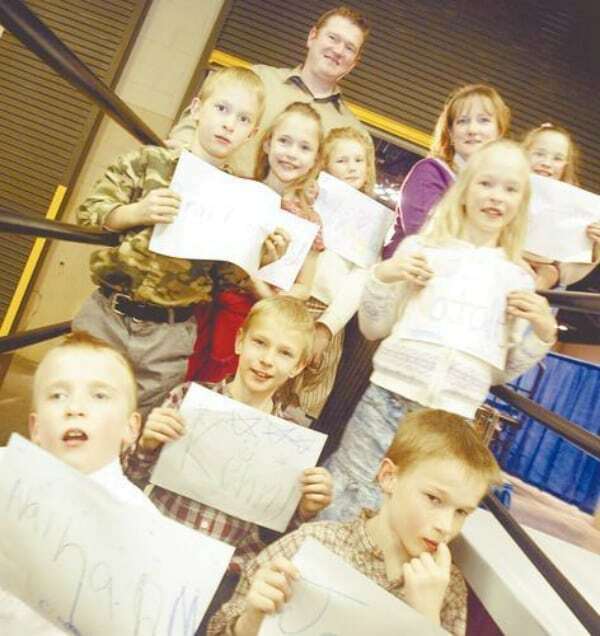 From the get-go, the media thrust the McCaughey septuplets into fame. Although the world was fascinated with them and their parents were gracious for the benefits that publicity had brought them, they didn’t want them to worry about constantly being in front of the camera (did someone mention the Kardashians?). However, the McCaughey made some select exceptions in which they’d allow for the media to check in on them. Every year the family allowed for a Dateline birthday special that provided a brief glimpse into their extraordinary lives. A few years later, though, the world would get another amazing update. It’s safe to say that there was never a dull moment in McCaughey abode. 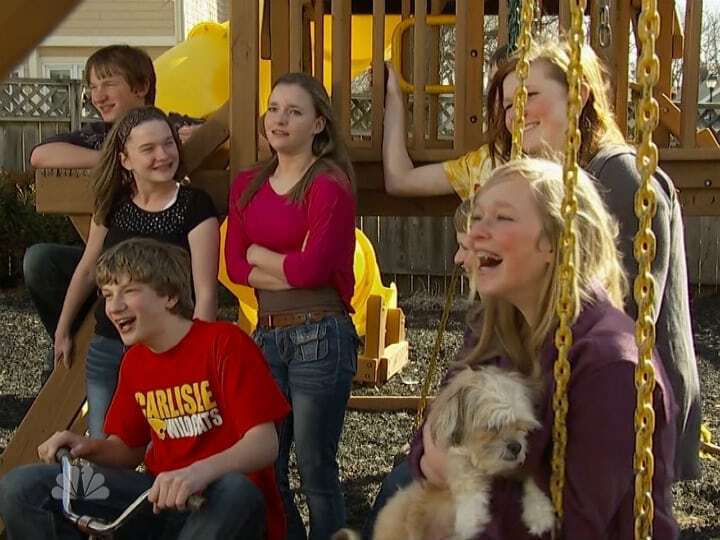 There was always someone to play with and something to do, but when the septuplets turned 13 in 2010, they faced a new venture – making a documentary. Ann Curry hosted the TLC production that documented their lives up until then. 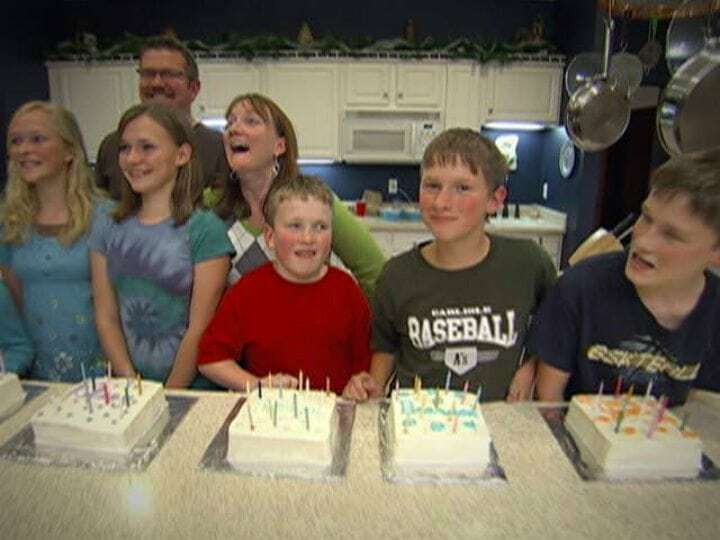 The documentary titled America’s Septuplets Turn 13 aired a month after the seven blew out their collective 91 candles. Going forward, into their teenage years there were still more hardships and triumphs to come. Two of the septuplets, Alexis and Nathan, had dealt with the challenges of cerebral palsy throughout the course of the lives so far. For most of their lives, they had to use walkers but they remained defiant and their spirits were never dampened. In an incredible show of self-determination, Nathan took it upon himself to improve his motor abilities. “I taught myself how to walk because I really wanted to learn. It’s just been getting better and better,” he said. With the help of their loving family, Nathan and Alexis followed their dreams and she’d go on to do something that’d make her an inspiring role model for many other young women. Far from letting cerebral palsy take over her life, Alexis McCaughey celebrated everything life had to give her. She even started participating in beauty pageants specifically for children with special needs. Of course, her large family was there to cheer her on as she bravely took the stage. In 2013, Alexis won the Teen Miss Dream Made True contest held in Carroll, Iowa. She’d also go on to graduate in the top 15% of her high school class. 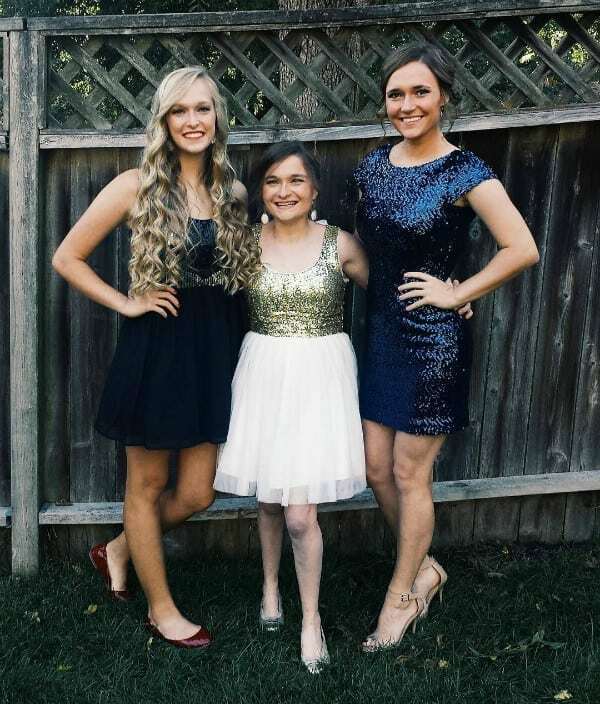 While Alexis was making strides and serving as a motivational leader, she along with her other siblings also continued to make history as the world’s first surviving septuplets. But that wasn’t all. 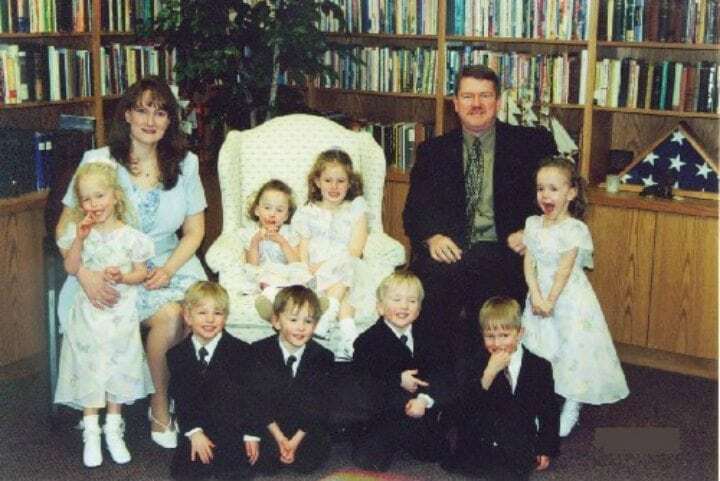 The McCaugheys had homeschool the septuplets in kindergarten. Bobbi ushered her group of young children – who basically made up half a schoolhouse classroom – into the kitchen for their early education. As the seven continued into their grade school years, they did something they’d never done before -they separated. After kindergarten, the septuplets went to school and were even placed in different classes, where they made their own friends and developed individually. Although they had always be defined as septuplets, they grew to hone their own personalities and interests. Before they knew it, though, they’d all face another big life event together. Like any other kid their age, the teenage septuplets had to go to high school. In 2012, they began their attendance at Carlisle High School in Carlisle, Iowa. With all seven lunches and backpacks packed, the troupe got on the school bus ready to take on their teenage years together. Navigating high school is never an easy task, luckily the McCaugheys all had each other. Even if it was hard for teacher and classmates to remember all of their names, imagine what it was like for their parents dealing with seven hormonal teens. Interestingly, during this period something became increasingly clear about the septuplets. From a young age, it was clear that each child had their own unique personality and traits. While the McCaughey septuplets are no strangers to being grouped together, each of the seven siblings born at the same time had always valued their individualism. While Alexis is known as studious, Kenny Jr. was usually recognized as the class clown. Meanwhile, Kelsey and Brandon were also known to make their family laugh and thrived in athletics. Brandon, for his part, was seen as the most stubborn and fearless of the seven. 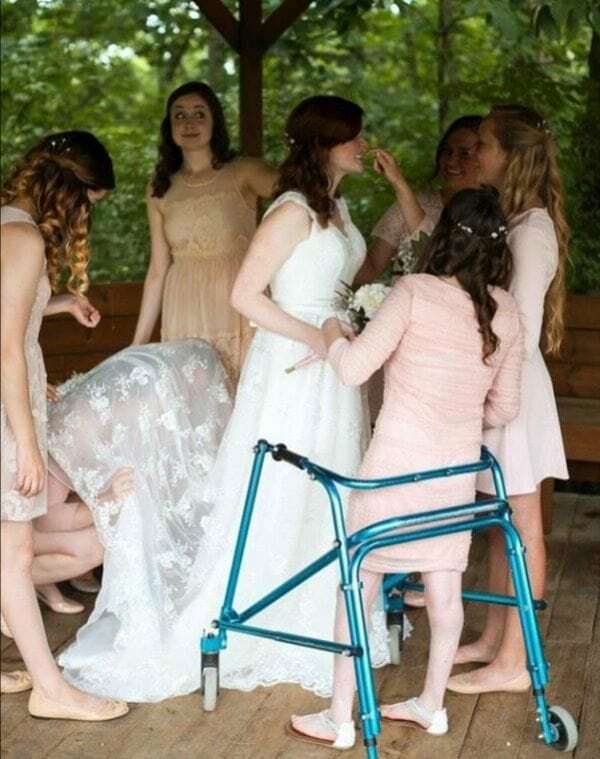 While the septuplets kept busy with their own hobbies, there was one thing they all adorably did together. There’s no question that the McCaughey septuplets could have easily made up a musical band by themselves. And although they all their own interests whether it was cross country, choir, wrestling, soccer or speech contests, they always converged in one place – the school band. The septuplets could all be seen playing at halftime events of school sporting games. And while most of their adolescence was marked by every-day events as such, there were always certain milestones that the media couldn’t resist. And could anyone blame them? 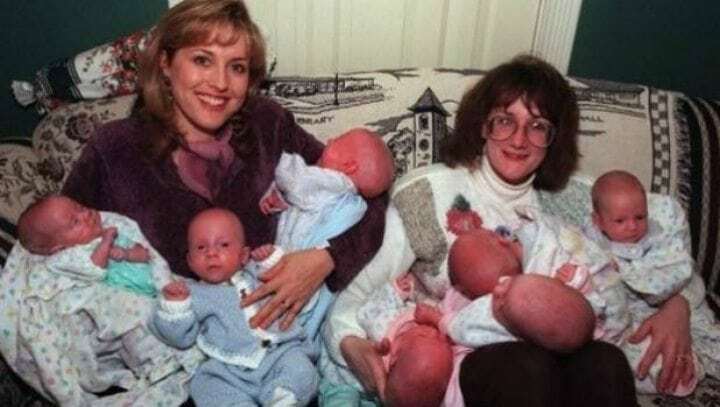 All eyes were on the septuplets again when they reached another milestone in their lives and became the first set of septuplets to reach age 16. Of course at that age, every teenager has one thing on their mind – driving. 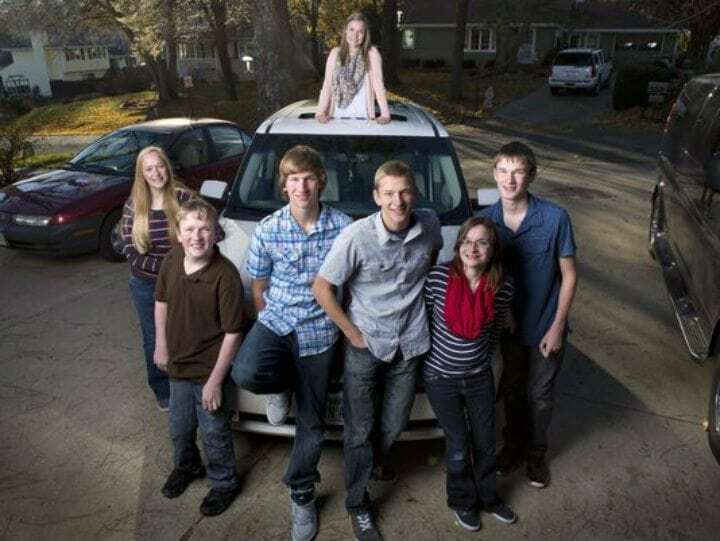 For the McCaugheys, buying seven separate cars for the septuplets was out of the question. Therefore, when they reach driving age, their father, Kenny, said they could now get jobs and pay their own way through driver’s ed and buying cars. The septuplets continued to get older, but how were their parent Bobbi and Kenny handling it all? 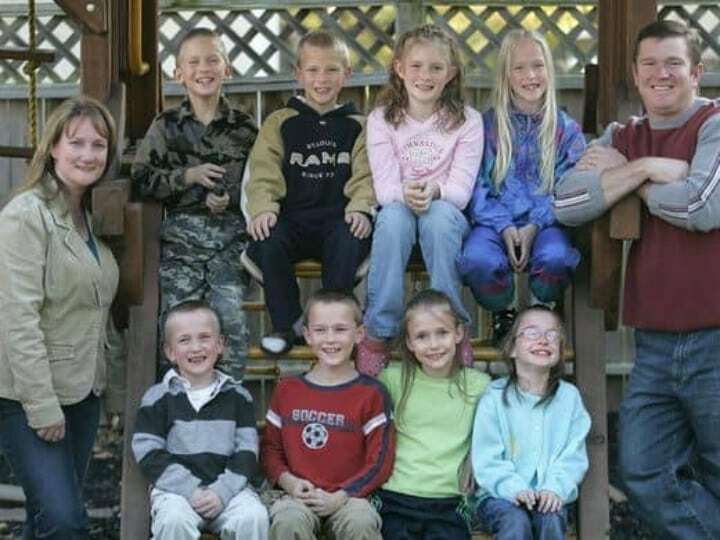 As the septuplets learned to drive, found first love and dealt with the highlights and heartbreaks of teenage life, Kenny and Bobbi McCaughey never seemed to unravel in the stress of things. They always seemed to overcome any struggles and keep a tight-knit bond between all of their family members. The parents were proud to see what had become of the septuplets. “It’s fun to see the work pay off,’ Bobbi said of her always-active children. And while there had been a lot of focus on the history-making septuplets over the years, the question loomed of what had become of the older sister, Mikayla? While the septuplets would continuously make headlines every time they reached a major life cycle event, the public also wondered what had become of the first-born McCaughey child. Like her other siblings, Mikayla seems to have worked hard and established her place in life. She went to study at both Des Moines Area Community College and Arizona State University before she got married and had her first child. She also managed to stay close to her siblings over the years even as they approached adulthood and came to another turning point. 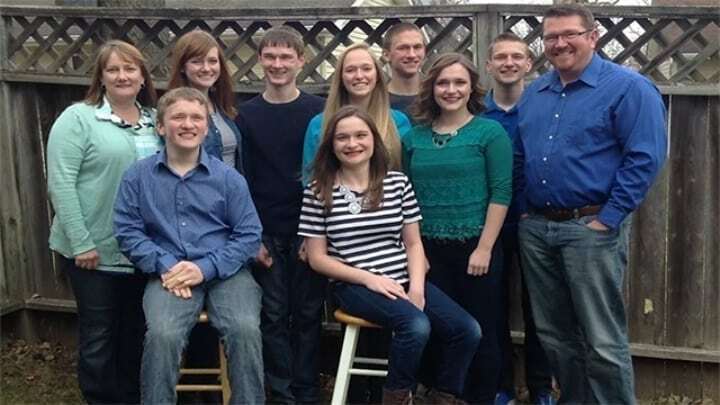 On November 19, 2015, the septuplets turned 18. High school graduation was right around the corner and they all had to make some big decisions about their futures. Like any parent, it must have seemed like just yesterday when Kenny and Bobbi brought home the seven little babies who were now legal adults. 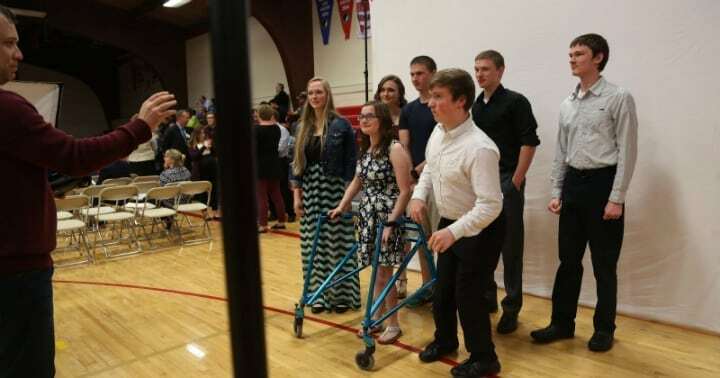 Those bittersweet sentiments peaked on May 2016 when the world’s first surviving septuplets were cast into the limelight again on the occasion of the high school graduation. “It’s sad to see things end,” Bobbi said of the occasion, “but there will be lots of firsts coming.” And indeed they would go on to forge their own paths and explore surprising new directions. 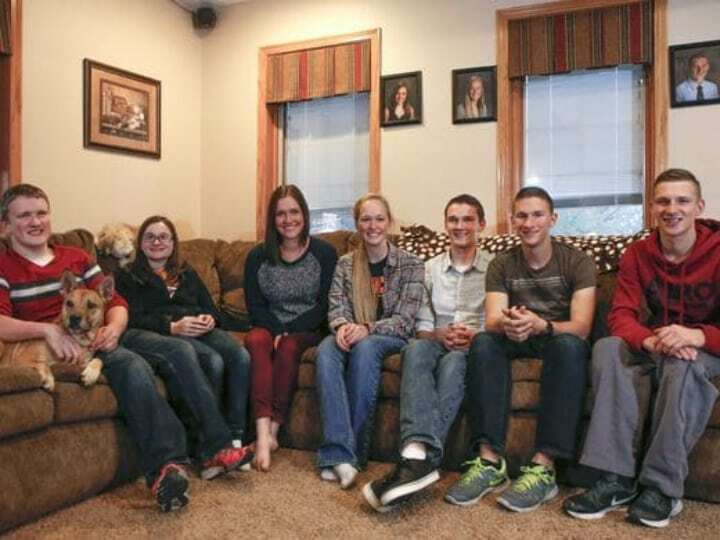 When the McCaughey septuplets were born, there was one other generous offer the family received – a free college education for the seven siblings at various universities. 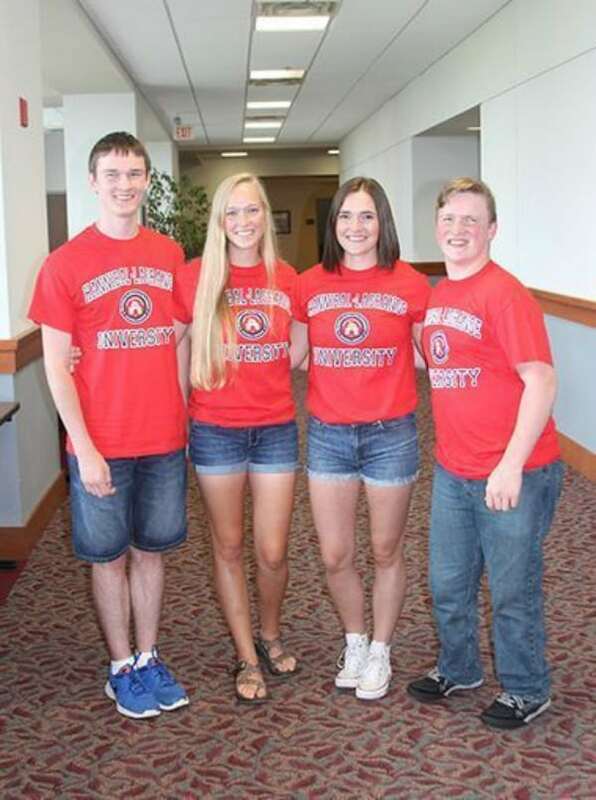 Hannibal-LaGrange University in Missouri offered free secondary educations to the septuplets and the State of Iowa offered scholarships to any state university of their choice. Gracefully accepting full-ride scholarships, Natalie, Nathan, Kelsey and Joel went to study at Hannibal-LaGrange University. Meanwhile, Kenny Jr. and Alexis stayed closer to home and decided to further their education at Des Moines Area Community College. One septuplet, Brandon, chose a completely different route, however. The only one of the septuplets who veered from the college route was Brandon, who joined the U.S. Army right after high school. From a young age Brandon had an affinity for all things military, though no one expected just how far that passion would take him. 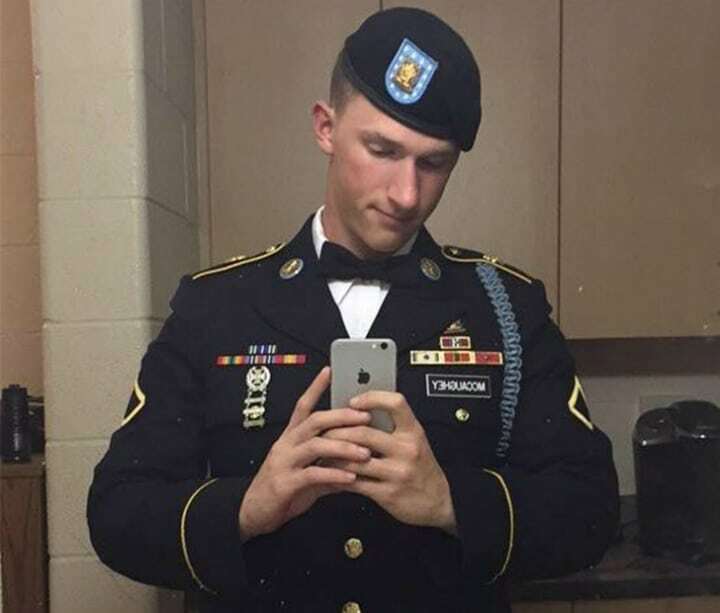 After years of hard work and training, Brandon made his family proud when he became a sharpshooting United States Army Ranger. In addition to Brandon, no one would have ever guessed what would become of the other septuplets upon first news of their birth. Nowadays, the McCaughey have managed to make history not only as the first surviving septuplets but as the first to reach age 20. The septuplets may never be able to completely distances themselves from their collective legacy, but that hasn’t stopped them from pursuing their individual lives. Kenny Jr. has launched a carpentry business. Brandon is engaged (due to wed in July 2018) and Alexi is pursuing a career in early childhood education. Additionally, Kelsey and Natalie are finishing their college degrees as are Joel and Nathan who share an interest in computer science. But how do the McCaugheys feel about going their own separate ways? After spending so much of their lives together and becoming acquainted with a large family lifestyle, everyone wondered how the seven McCaughey siblings would feel to see each other go off on their own. And their answer might surprise some people. While the septuplets understandable said they’d miss each other, they also weren’t too distraught by the prospect of getting to explore their own paths. The McCaughey sisters also make a point to meet up often and we’re sure the whole crew keeps in touch regularly. Now as young adults, they septuplets have been able to look back and reflect on their unique upbringing. The news of the McCaughey septuplets’ birth was an astonishing feat and left many onlookers in wonder. 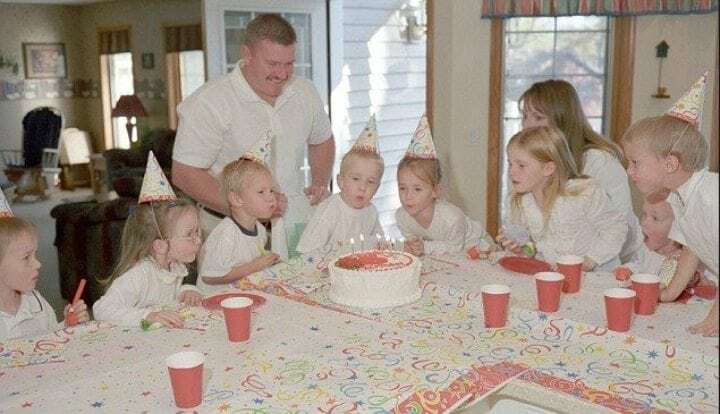 While there have always been questions swirling around the family, the now 20-year-old septuplets can look back and say they were grateful for their family life. “You’re never alone,” Kenny Jr. told Today. “There’s always someone to talk to and hang out with. That’s what I think is the best.” Meanwhile, Kelsey had similar sentiments. “I don’t think there’s a worst part,” she said. 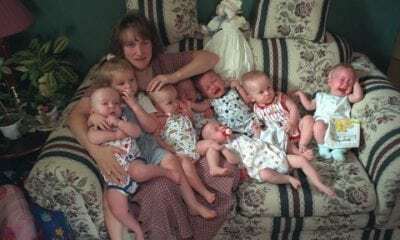 “I’ve enjoyed it all.” As the septuplets approach adulthood, there have been many questions about whether they’re more likely to have multiple births themselves. With so many siblings all born at the same time, questions linger about what will happen if and when the septuplets have children themselves. In short, the answer is that the septuplets don’t necessarily have a greater likelihood of having more than a single childbirth. The septuplets were born due to fertility treatment rather than a genetic predisposition. Their parents, Bobbi and Kenny, had been hoping for at least one egg to successfully fertilize, but instead, seven did! But how are their parents faring these days? For Bobbi and Kenny McCaughey, their early trepidation at finding out they were expecting septuplets has melted away to give room to nothing but gratitude. The couple now staunchly advocates against selective reduction and they have even made some public speaking appearances to discuss the matter. After all, has been said and done, Bobbi and Kenny wouldn’t have done things any other way. “Well, come to our house, and tell me which four I shouldn’t have had!” Bobbi will notably say to doubters. With all that time on their hands now, the septuplets’ parents have finally had some time to pursue some of their own interests too. 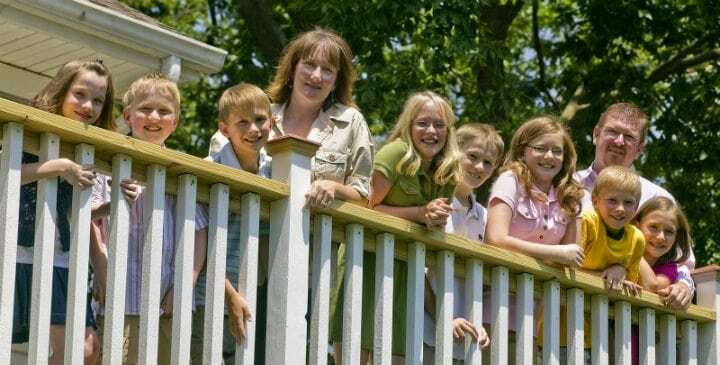 As young adults, the world-famous McCaughey septuplets are each exploring their own callings and enjoying their individual freedoms. They’re no the only ones though. Now that their parents have an empty nest, they’ve been able to take some personal time as well. After his kids left home, family patriarch Kenny was finally able to dream of purchasing a motorcycle and traveling around the country. While the septuplets’ parents may be enjoying a little more free time nowadays, like all parents, seeing their children leave home wasn’t necessarily easy. For years McCaughey parents were accustomed to rearing and tending to the needs of their eight children. Now that the septuplets and their older sister Mikayla have moved out, their McCaughey couple has again had to adjust to a drastic new way of life. Bobbi and Kenny have admitted that life is somewhat easier now that they don’t have as many costs and also don’t have to keep the kitchen fully stocked for a family of 10. Still, they have new concerns for their children as they’ve gone off into the world on their own. 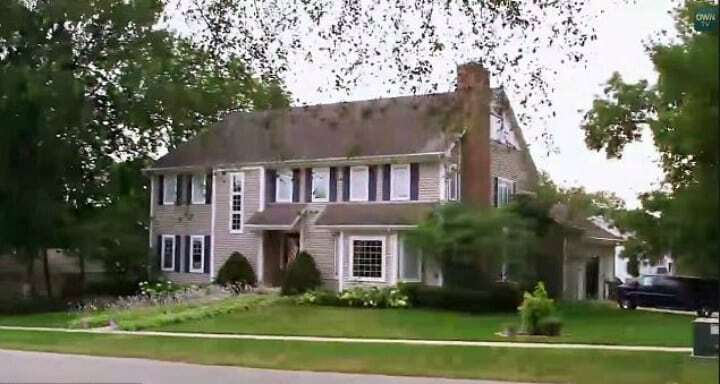 Now with an empty nest, you might be wondering about their expansive family house. Two decades ago, the McCaughey family received its 5,000-square-meter, seven-bedroom, five-bathroom house as a donation from the Clark Company. In February 2018, as Bobbi and Kenny found their nest empty, they decided it would be a good idea to downsize. “As our kids are leaving the nest, it seems to be the right time to start a new chapter,” said Bobbi McCaughey. Grateful for the generous gift that housed their family over the years, the McCaugheys wanted the residence to go on help more people. 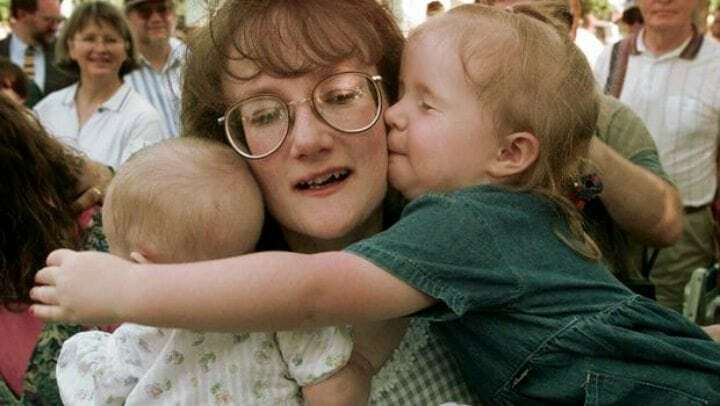 “We have been blessed to receive such a wonderful gift, and nothing would please us more than the idea of our home being used as a place of refuge to others in need,” Bobbi McCaughey said in announcing that the family had sold the home to Iowa nonprofit Ruth Harbor, which provided housing for young mothers with unplanned pregnancies. “It’s a pretty good size house that met our needs pretty well. We thought we would pass that down to someone else who could use it,” Bobbi’s husband Kenny said. As new memories will soon fill the house, no one will forget the previous inhabitants nor will the world’s interest wane in wondering what’s next for the astounding McCaughey crew. If you liked this article, please don’t forget to SHARE with friends!